Pin It in the Classroom! Since discovering Pinterest, I must admit, it has become a definite addiction. I'll go to the website with the intention of looking for 1 specific topic, but then one thing leads to another and...well, you understand (I hope it's not just me). Originally I began using Pinterest specifically for teaching ideas, and that's still my main focus. Once I got the swing of things and realized that there were actual "real" people behind these wonderful 'pins,' it honestly modernized my teaching skills. The pins lead me to fabulous blogs that shared amazing lesson plans, ideas for activities to use w/ students, wonderful educational products...I could go on and on. Then I began creating my own boards. Follow Lit with Lyns's board Lit w/ Lyns on Pinterest. The key to using Pinterest effectively is organizing your boards, so that they can serve their purpose when needed (if only I could practice what I preach). It's important to follow other pinners that have similar interests. Since I teach middle school, I look for boards that have info for secondary teachers, such as, Secondary Education Collaborative Board. Follow Education with DocRunning's board Secondary Education Collaborative Board on Pinterest. My goal is to start incorporating Pinterest into my class projects by creating boards on particular topics. Then students can go to the specified board for research and other pertinent information. I still have to work out the kinks and will have to get advice from other incredible teachers who already do this, such as Mrs. Spangler in the Middle. 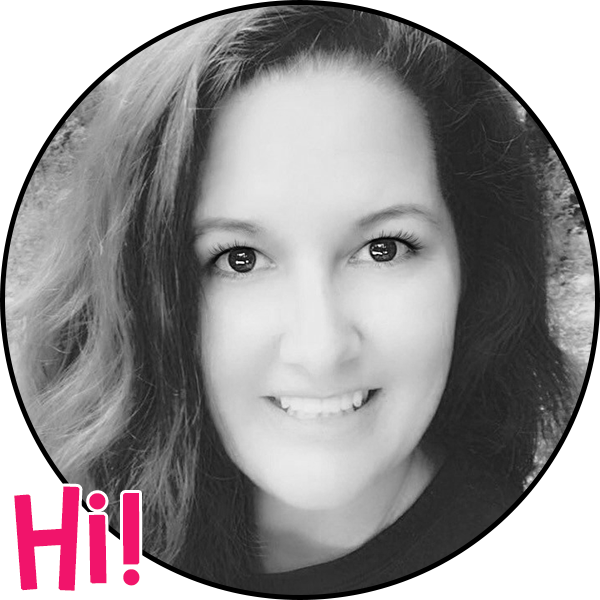 Check out her post about how she uses Pinterest with her students! Great ideas!!! It is really true that it's addicting. One pin leads you to another and you just get lost!! 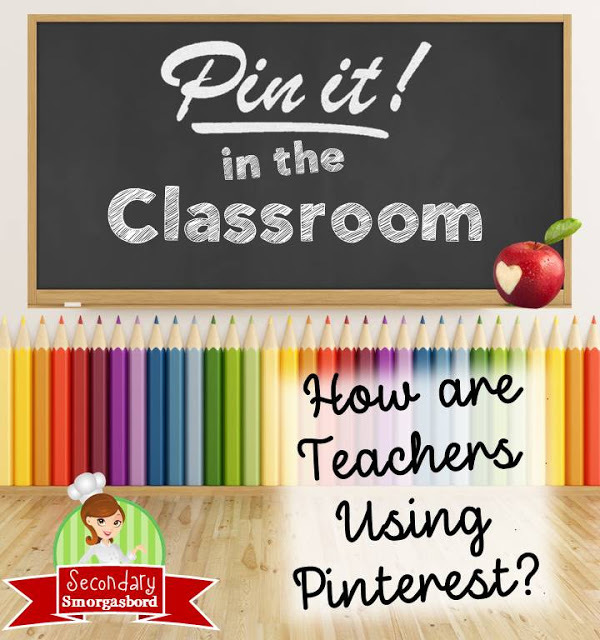 :) I love the idea of getting your students on pinterest for research. I hope it works well for you! Good luck. 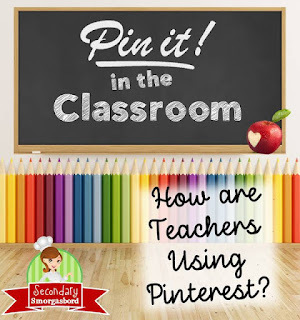 Great ideas for using Pinterest to help you prepare as a teacher! Thank you! I know! Can't wait to start! I am also a practicing pinterest addict. Thanks so much for sharing!!! Pinterest is definitely full of so many great ideas! I don't know what I ever did without it! Wow! Totally honored that you put up the Secondary Education Collaborative board. I absolutely love it as a resource, myself! And, yes, I, too am addicted to Pinterest. I love it too! I meant to post on the Facebook page to let you know, but being back at school this week, it's been crazy! Thanks for stopping by! Lyndsey, It's not just you. I get lost in the Pinterest vortex on a daily basis. I love it though! I know! I can't help it!